While most of the contractors licensed to install solar energy systems do their jobs well, and customers are satisfied with the results, the number of complaints to CSLB about deceptive solar practices continues to rise rapidly. CSLB's latest statistics show 535 solar-related complaints received from January 1, 2015 through May 1, 2016 – quite a change from when only 59 complaints connected to solar projects were filed in 2010. Licensees should know that the sales/lease process is generating the majority of solar-related complaints filed with CSLB. The deceptive practices alleged include misleading electric production claims, overstated promises of cost savings, or financing that may not be in a consumer's best interest. "Although it's great to see that solar is really taking off, bringing the benefits of clean, less expensive energy and more jobs, the industry is going through some growing pains," noted CSLB Registrar Cindi Christenson. "We're seeing more complaints come through about unscrupulous business practices that lock consumers into unfavorable, long-term contracts, or systems that perform below what had been promised. As a consumer protection agency, CSLB won't tolerate abuses in this or any other construction field." In addition to acting on consumer complaints, CSLB has established a Solar Task Force made up of investigators who pursue bad practitioners in the solar field and identify strategies to reduce exploitive or predatory business practices. Financing and contract/lease terms – An array of new financing options, as well as quickly evolving technology that has brought down equipment costs, has contributed greatly to solar's popularity in California. However, the complexity of financing contracts also has grown as customers choose between owning, leasing, or power purchase agreements. Given the significant differences between the types of solar financing, it's more important than ever that licensees provide potential customers a detailed breakdown on how much they can expect to pay by converting to a solar power system. CSLB has found that the lack of specificity during solar sales presentations generates the most consumer dissatisfaction. Problems arise when contract terms are not fully explained, or minimized, or when the contract contains "fine print" conditions discovered after signing – such as payments that start low but contain annual escalators, long payback commitments, or surprise costs that include roof surcharges or equipment upgrades. Lease contracts also need to spell out repair and maintenance responsibilities for the power system, as well as what happens in the case of a home sale. Financing programs – The rise of special financing programs to pay for energy-efficiency projects has been an increasing source of misunderstandings. This financing is done through programs such as the Home Energy Renovation Opportunity (HERO). Although this type of financing is legal and comes with no up-front costs, some complaints to CSLB have indicated that consumers are unaware the loans must be paid back for periods of five to 20 years through additional assessments attached to the property tax, and often at a rate higher than what may have been obtained through a traditional lending institution. It's important to fully explain the terms of these types of financing to potential customers. Refrain from high-pressure sales tactics – Prospective customers should not be hurried into signing a contract, especially after a first meeting. If a solar installation contract is signed, customers have three business days to cancel. This three-day period, after a contract is signed, is not when building permits should be pulled. You cannot begin work or pull permits during this waiting period, in case the customer changes his or her mind. 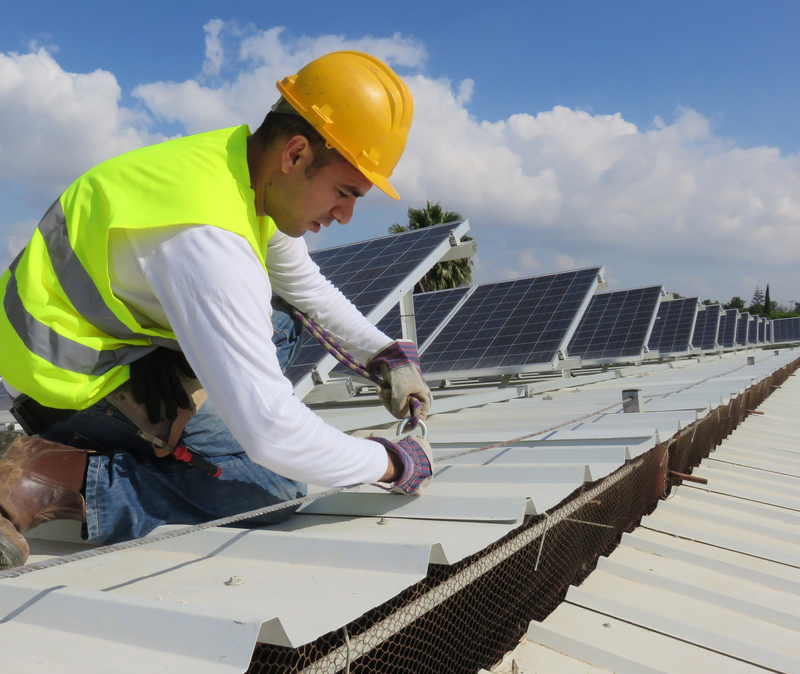 Solar sales and financing personnel must be registered as Home Improvement Salespersons (HIS) with CSLB – As a solar contractor or company, you are required to register sales staff through the HIS program before they can sell or lease systems. A trained and CSLB-registered staff helps reduce the chance that staff will mislead or misinform potential customers about the benefits of installing a solar system. Solar sales staff should always carry an HIS registration card issued by CSLB they can show potential customers when making sales calls. The HIS registration requirement does not apply to those who only sell goods or negotiate contracts at a licensee's fixed business establishment, where the goods or services are exhibited, or persons who contact prospective buyers for the exclusive purpose of scheduling appointments for a registered HIS. Avoid overselling cost savings, or solar energy system capabilities – It's difficult to pin down exactly how much power, or cost savings, a system will generate. Factors such as design, equipment, installation, site location, and weather/cloud patterns all play a role in the electricity output of each system. Licensees should avoid making claims that promise unrealistic energy/money savings. Follow the permit process – Contractors with solar projects must submit design plans that comply with particular city, county, and/or utility standards, obtain the required building permits, and follow through with a safe, quality installation. In addition, licensees need to be aware that individual cities, counties, and utility departments have different permit requirements that have to be followed.